Twenty-one young people from around the country are working to keep the world’s largest fossil fuel companies from intervening in their constitutional climate change lawsuit. 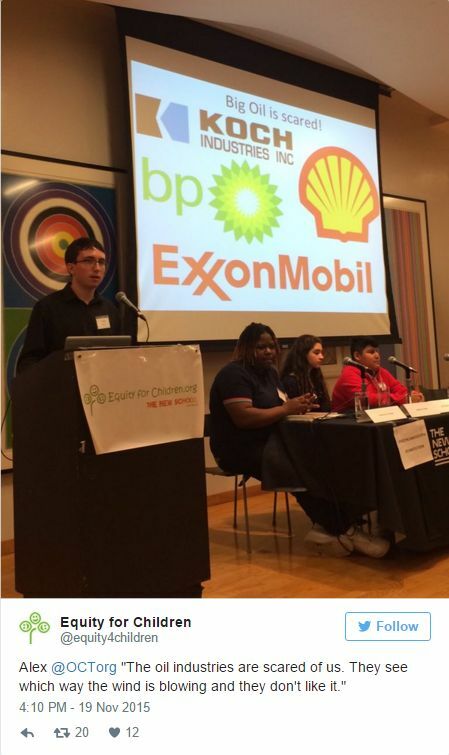 Last week, the youth opposed the industry’s proposal to intervene as defendants in their case. The proposed interveners are trade associations for major corporations, including the American Fuel and Petrochemical Manufacturers (AFPM)—representing ExxonMobil, BP, Shell, Koch Industries and virtually all other U.S. refiners and petrochemical manufacturers—the American Petroleum Institute (API)—representing 625 oil and natural gas companies—and the National Association of Manufacturers (NAM). The lawsuit asserts the federal government has violated the youngest generation’s constitutional rights to life, liberty and property. It also claims the government failed to protect essential public trust resources by facilitating the exploitation of fossil fuels. The youth have asked the courts to order the federal government to prepare and implement a science-based national climate recovery plan. 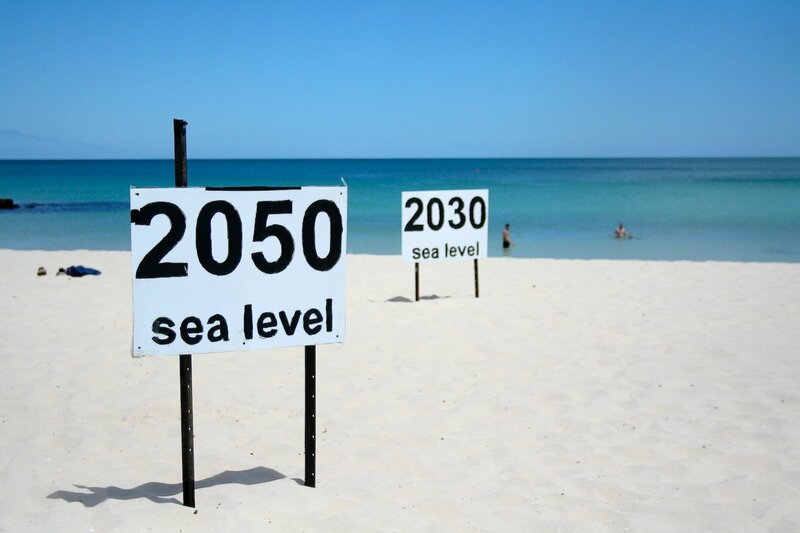 Victoria Barrett, 16-year-old plaintiff and fellow with Alliance for Climate Education, is participating in the climate talks in Paris advocating for science-based climate recovery plans. Barrett became a plaintiff because she was tired of the U.S. government sacrificing her future by allowing fossil fuel companies unbridled economic growth. 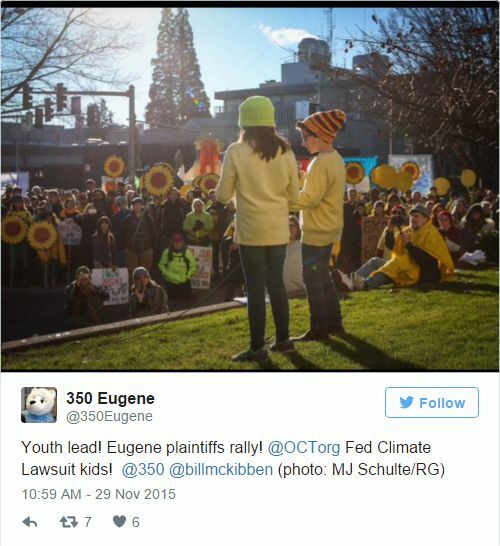 “We oppose the world’s largest fossil fuel polluters, including Exxon and Koch Industries, arguing that young people don’t have a constitutional right to life if it means reducing fossil fuel use,” said Julia Olson, executive director for Our Children’s Trust, also counsel in the litigation. This entry was posted in Civil Rights, Climate Change & Environmental Issues, Corporate Personhood, Corruption, Demonstrations & Protests, Economics, Energy, Fracking, Government, Human Rights, Human Spirit, Living Examples, Social Justice, Solidarity, Water and tagged 350.org, American Petroleum Institute, BP, Capitalism, Civil Rights, Economics, Energy, ExxonMobil, Fossil fuels, Fracking, Human rights, Hydraulic Fracking, Koch, Koch Industries, National Association of Manufacturers, Oil, Oil Shale, Our Children's Trust, Pipeline, Protests, Royal Dutch Shell, social justice, Solidarity, Water on December 12, 2015 by ew. 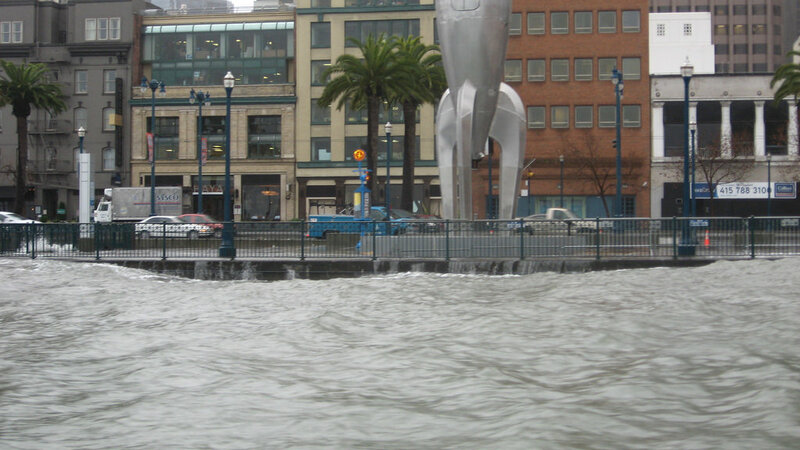 On April 20, 2010, the greatest environmental disaster in U.S. history began. 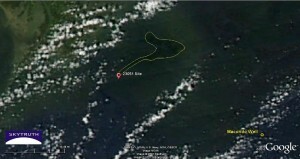 At 9:56 PM, a fire began on an oil rig called the Deepwater Horizon. 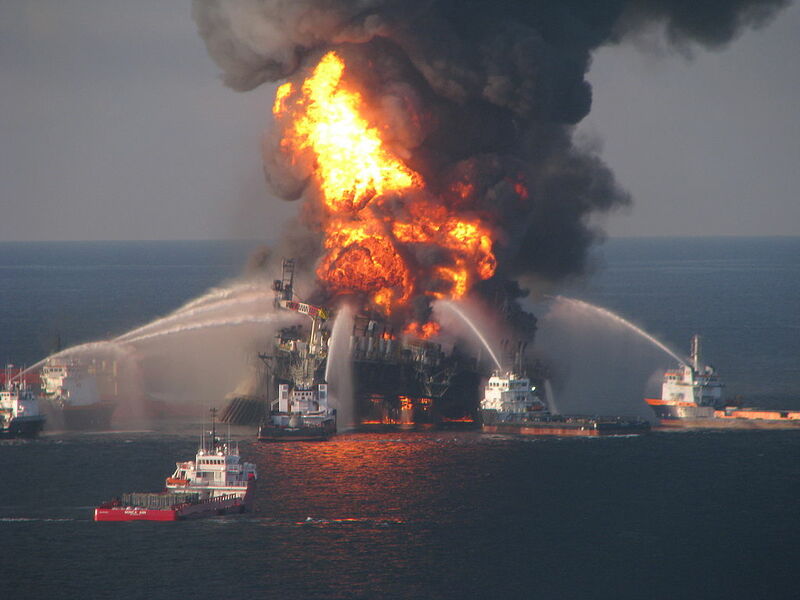 Within five minutes, the rig exploded, and burned for over a day before sinking into the Gulf of Mexico. The day the rig sank (April 22), the Coast Guard reported that oil was leaking from the rig at a rate of about 8,000 barrels (340,000 gallons) per day- a very optimistic estimate. 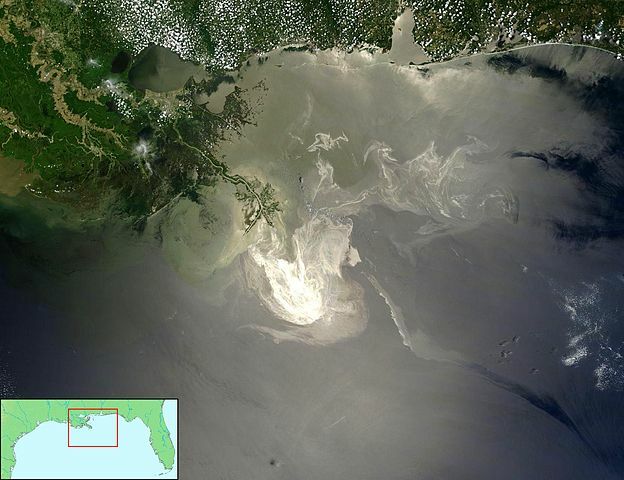 The leak flowed for 87 days, and the official US Government estimate of the total spilled was 4.9 million barrels (210 million gallons) – or seven times the Coast Guard’s estimate per day. On Tuesday, it was announced that Halliburton, the company who poured the cement for the well, had reached a $1.1 billion settlement with thousands of businesses, individuals and local governments that suffered losses from the explosion and subsequent spill. 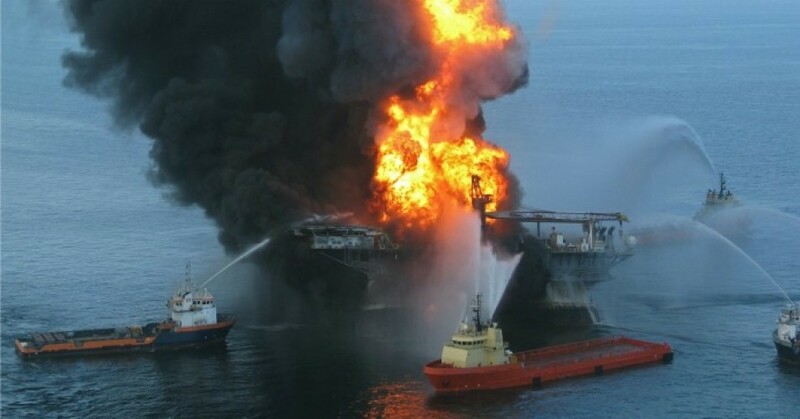 The settlement includes punitive claims of property damage and damage to the commercial fishing industry, as well as claims assigned against Halliburton by BP in BP’s 2012 class action settlement. It also includes legal fees. The settlement still has to be approved by the District Court for the Eastern District of Louisiana. In announcing the settlement, Halliburton’s attorneys stated that the agreement resolves “a substantial majority” of its liability in the disaster. 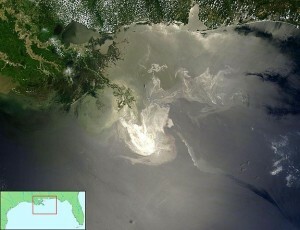 By resolving most of both punitive and compensatory liability in most lawsuits from private plaintiffs and local governments, the settlement will let Halliburton avoid billions in punitive and compensatory damages if they’re found to have committed fraud and gross negligence in a ruling due shortly dealing with how much blame each company carries for the disaster. This entry was posted in Climate Change & Environmental Issues, Corruption, Economics, Energy, Government, International Agreements, Water and tagged BP, Capitalism, Energy, Environment, Halliburton, Oil, oil pollution, oil spills, Water on September 4, 2014 by ew.